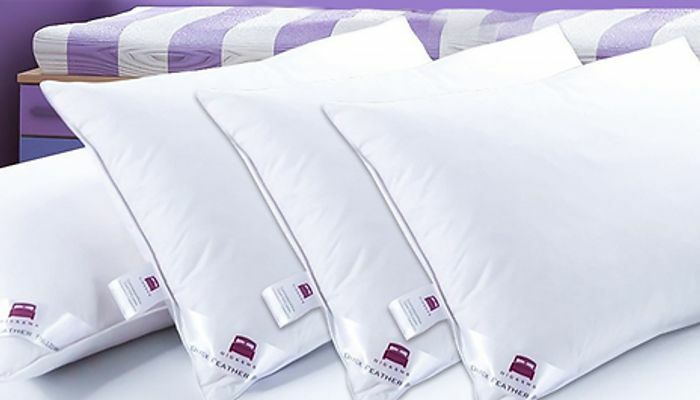 Get a good nights sleep with this great deal on some extremely soft and comfortable duck feather pillows that are extra filled. The filling is 100% Extra soft duck feathers and they are plumped with small feathers for extra comfort. There is 1000g of duck feather filling per pillow. Seen these go up for sale in the past. Can anyone give feedback on any that got ordered? Thanks. These look very good. Could do with some new pillows. But I've never use this Compton be for. Are they any good. Thank you for sharing this good deal. Good find and great offer! These will come in handy - thank you for sharing. good deal has anyone had these pillows before , are they any good ? Wow these are a fab price, thanks so much for sharing. I would also be really interested in to hear reviews from anyone who purchased reduced in last sale. These pillows have a very good price.. Thanks a lot for sharing.